This installation of a flat victorian limestone fireplace took place in a flat in Pimlico, London. 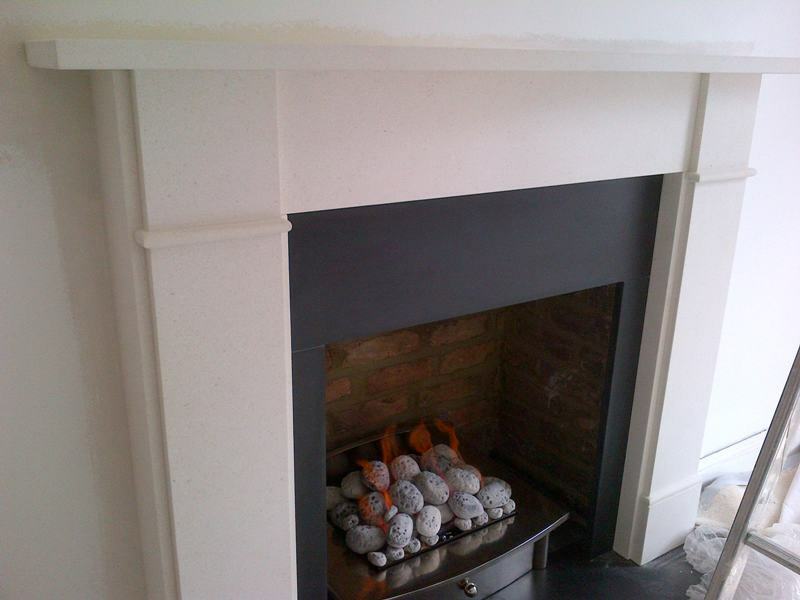 The flat had been completely refurbished by Pure Maintenance, refurbishment specialists based in London. Our task involved installing the flat Victorian limestone fireplace. 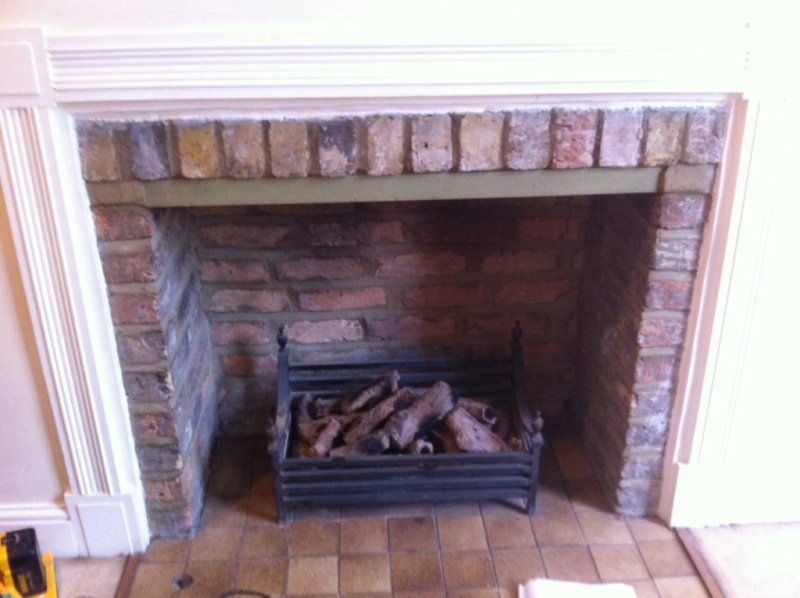 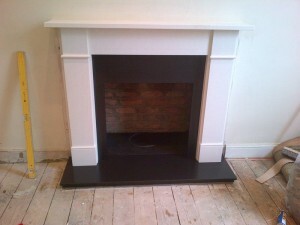 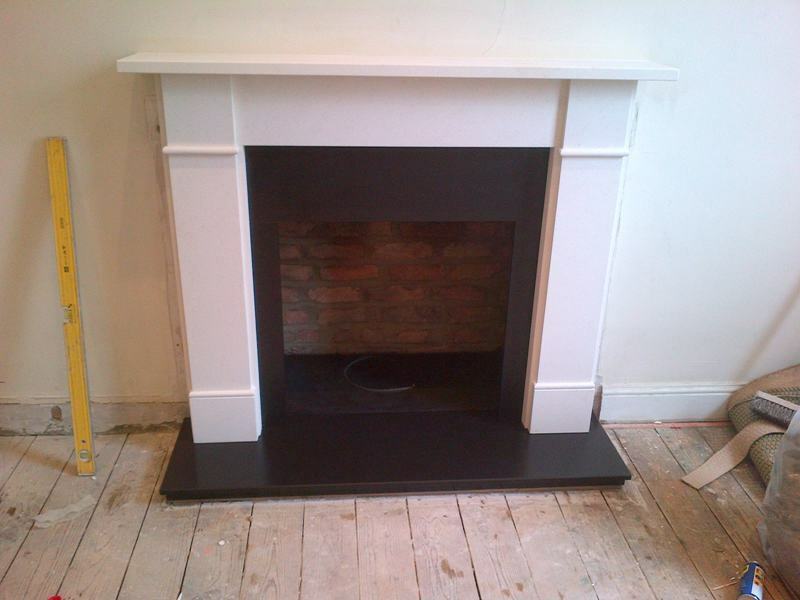 In addition, to compliment the fire new fire surround, we fitted a new slate hearth and slips. Finally, we installed a large Zen fire basket. 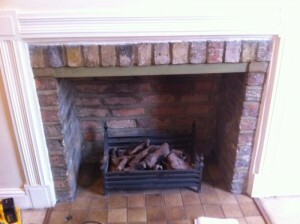 This included a gas fire with pebbles. 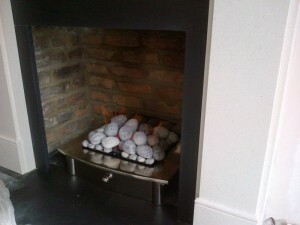 The images show the fireplace had a complete transformation. 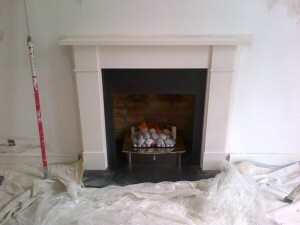 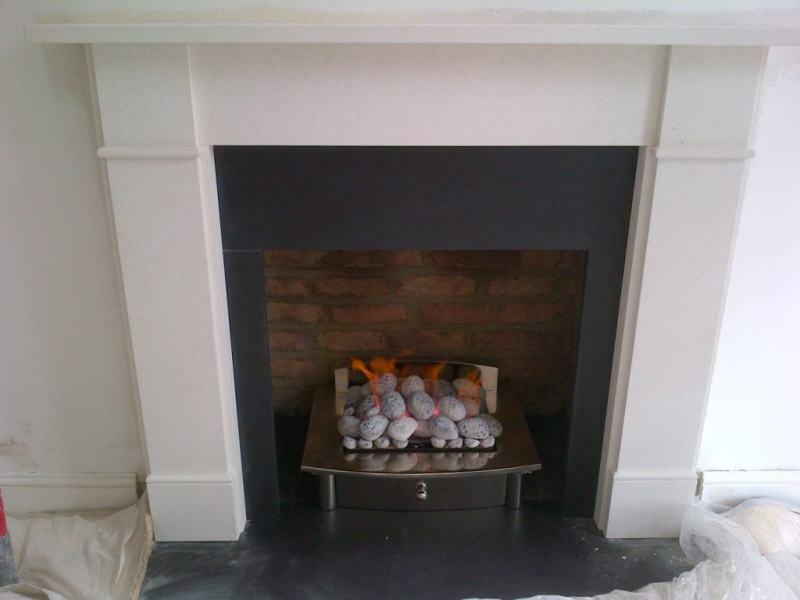 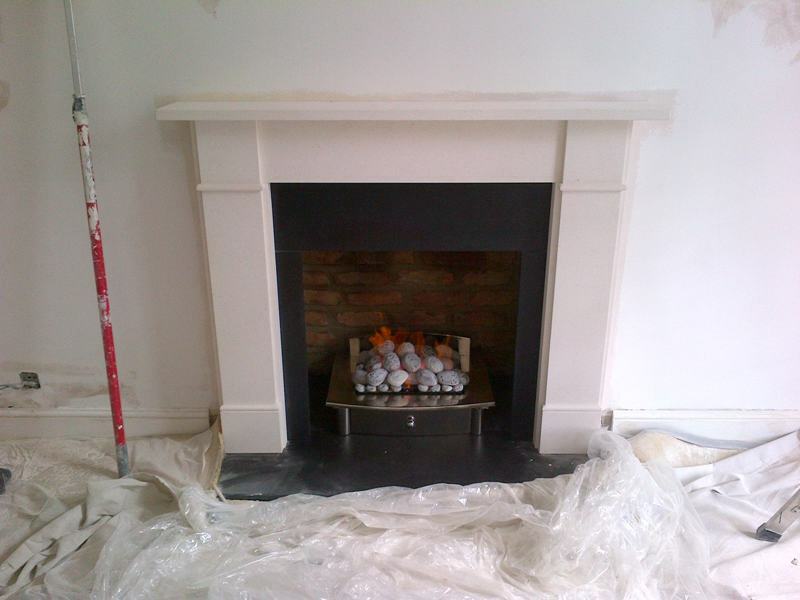 View another flat victorian limestone fireplace installed by The Billington Partnership.